Conyers said that recent signals from the Justice Department hint at a change in administration policy and new attacks on affirmative action programs. “This is not the time for the federal government to retreat from protecting equality in higher education,” said Conyers. Student leaders, college diversity officials, and legal experts discussed the role of Title VI of the Civil Rights Act of 1964 in ensuring that students are welcomed to a safe, inclusive learning environment free of harassment and intimidation on the basis of race, color, or national origin. Title VI, “was enacted as part of the landmark Civil Rights Act of 1964. It prohibits discrimination on the basis of race, color, and national origin in programs and activities receiving federal financial assistance,” according to the Justice Department. 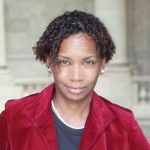 Ifill said that even though the Supreme Court of the United States affirmed the constitutionality of the merits of affirmative action, Attorney General Jeff Sessions is preparing a unit in the Department of Justice to challenge the law at colleges and universities across the nation. In the wake of violent protests and the White nationalists’ rally in Charlottesville, University of Virginia President Teresa Sullivan testified at the forum on what the university has done in the past and is trying to do in the future to promote diversity. Sullivan referenced past acts of naming various locations on campus after African Americans. On August 11, hundreds of torch-bearing White supremacists marched across the campus of the University of Virginia to protests the removal of a Confederate monument from a public park. Sullivan, Mayor Michael Signer, and the Charlottesville City Council have been criticized for not being more prepared for the “Unite the Right” rally and violence and mayhem that erupted in the small college town. The gathering was billed, weeks beforehand online, as one of the largest gatherings of White supremacists in U.S. history. One protester was killed and two Virginia state troopers died in a helicopter crash in Charlottesville over that weekend. Taylor Dumpson, the student government president at American University and Weston “Wes” Gobar, the president of the Black Student Alliance at the University of Virginia also delivered remarks during the forum. Both student leaders documented specific incidents of racism on their campuses. Dumpson was the target of a series of racist acts in May, when someone hung bananas in nooses around American University’s campus; some of the bananas were marked with “AKA,” the letters of Dumpson’s sorority, Alpha Kappa Alpha. The incident occurred a day after Dumpson was elected the first African American female student body president. Gobar said that he’s heard racial slurs and racists comments that were yelled by White supremacists during the rally in August, repeated in hushed tones on campus; he has also seen anonymous posts written online calling Black students ‘monkeys’ and messages written in chalk on campus suggesting that Black people have lower IQs than White people. “At a recent student council meeting, one student said that, ‘Thomas Jefferson raped Black women, but so did everyone else at the time,’” Gobar recalled. The student leader said that many incoming students of color now feel scared and unwelcomed at the University of Virginia after the events of August 12. Systemic problems require systematic solutions, said Gobar. Gobar noted that Black student enrollment at the University of Virginia is only 6.4 percent and recommended more funding for existing scholarships, financial aid and fellowships that target underrepresented groups. He also advocated for increasing the funding for organizations that serve minority populations on campus. “The status quo can longer be acceptable,” Gobar said. 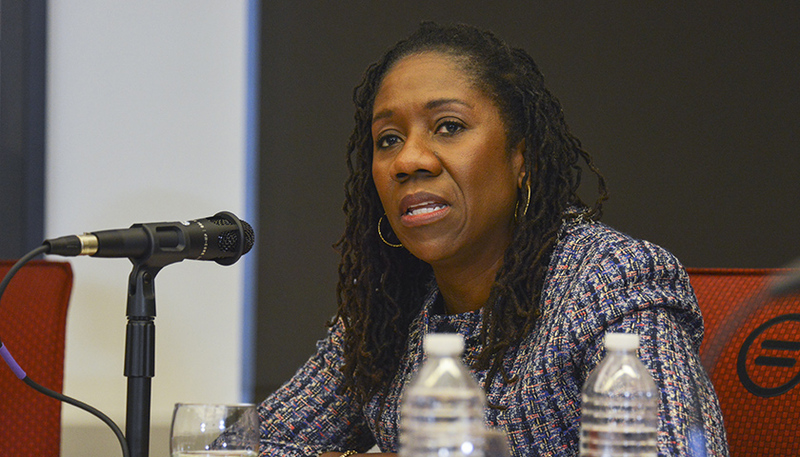 Ifill recommended that congressional lawmakers conduct oversight hearings to ensure that the Justice Department properly enforces Title VI and that lawmakers exercise budget authority to fully fund the enforcement of civil rights laws, including the Civil Rights Act of 1964, the Every Student Succeeds Act of 2015, Title IX and section 504 of the Rehabilitation Act of 1973.